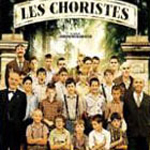 Christophe Barratier’s new film is not what you would have expected from him after the enormous box-office success of the Chorus (Les Choristes). I interviewed Christophe when the Chorus came out in the UK and already, he was working on Paris 36. Interestingly enough, he got the songs/music before he came up with the story. He was then still under the shock of this unexpected success. Although his new film ticks some of the boxes that the Chorus also ticked: great music, feel good movie, brilliant actors, great story,... PARIS 36, however, never seems to take off in the’ring true’ register, too clean, too perfect, too Disneyland. Is it because the film was mostly filmed in Prague? Prague is an amazing city and also a very cheap place to film as opposed to London or Paris but this certainly did not help achieve the objective. 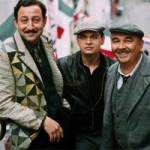 The film story is based in the ‘faubourg’ one of the poorest areas of Paris, and the time is 1936. For those of you who don’t know, 1936 was a truly historical year in France. It is the year that through a general strike (What’s new? the French are always on strike for something), during what was called the Popular Front, workers successfully obtained certain rights such as a 2-week paid holiday entitlement, the 40-hour week and the right to have their union representatives. Whilst all this is happening, a small burlesque theatre is closing its doors and the people who work there are about to embark on a journey that will help them salvage their lives. Christophe Barratier cleverly weaves the plot and manages to open a window on a period which sees both the winning of basic rights and the rise of fascism. This period of optimism is, as we know going, to be short lived. If some of you have seen the Chorus, you will recognise a number of actors who once again have joined the cast. Gerard Jugnot (Clement Mathieu), Kad Merad (Chabert), Maxence Perrin (Pepinot) and some newcomers. But what you will most remember no doubt is probably the beautiful and very talented young actress Nora Arnezeder who makes her debut in this film. She was only seventeen when she was picked by Barratier out of three thousand hopefuls. She says that she thought she would only get a small part but this was not to be the case. She was offered ‘Douce’ one of the main parts, one where she was going to have to sing and act. And gosh can she sing. Of course, Barratier has proven to be very good in the past at picking new comers with brilliant potential. One cannot forget Jean-Baptsite Meunier in the role of Morhange who became overnight an international star. Similarly to Nora, he also had the looks and the voice. Clovis Cornillac who is especially famous for his part as Asterix in Asterix aux Jeux Olympiques and as Benoit Notre-Dame in a Very Long Engagement is the union representative who falls madly in love with her. However, in this instance, he reminded me intensely of Serge Reggiani in les Miserables, the version with Jean Gabin. Some could say that Barratier has tried to put too much in this film and as a result only managed be superficial in his undertaking. The film may have done relatively well in France but this might be due to the fact that he is still riding on the back of the Chorus. What is certain is that he has tried to create a Barratier style of getting people to realise that by working together things can change. As for the Chorus, there is a clear message of hope. A ‘feel good’ film for those who think that French cinema is only good at making you miserable.